Crow/Clay & Associates completed a seismic upgrade to the 17,000 sq. ft. Sitkum Hall Classroom Building on the Southwestern Oregon Community College Campus. 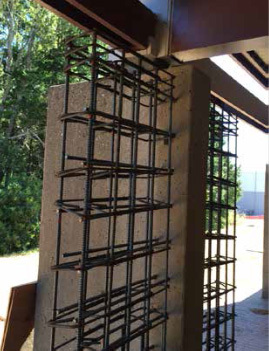 The design included foundation and concrete shear wall improvements, roof diaphragm nailing, drag ties between beams and interior shear wall improvements. The project was completed on time, within the summer break period and was under budget. Saved funds allowed the addition of new corridor ceiling and lighting, new single ply roofing and a new stainless steel gutter system. The structure is a combination of wood frame and heavy timber with concrete columns and shear walls.